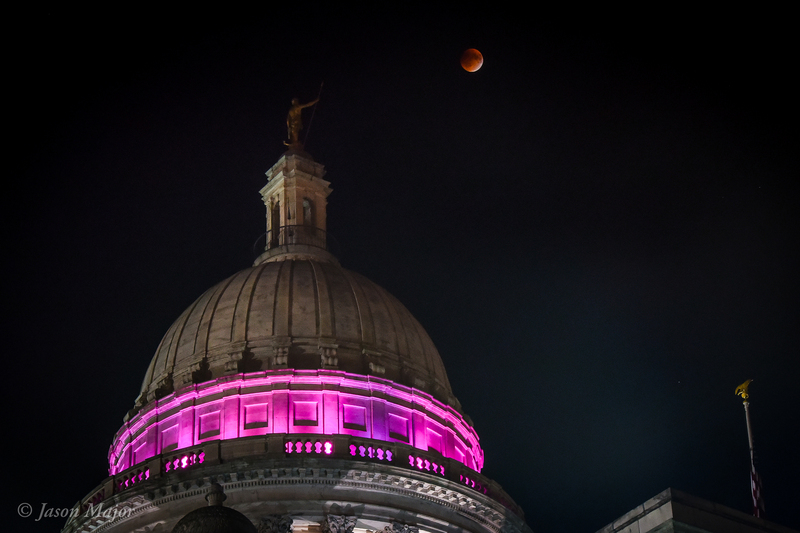 Last night a large part of the world’s population was treated to a relatively rare variety of a not-so-rare night sky spectacle: a total lunar eclipse that happened to coincide with the closest perigee Moon (aka “supermoon”) of the year. The last time these scenarios lined up this way was in 1982, and it won’t occur exactly like that again until 2033. 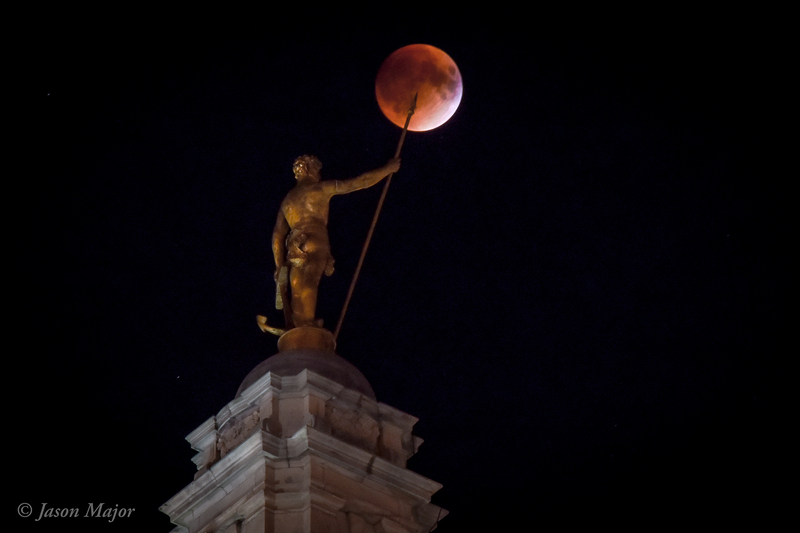 While some parts of the U.S. were clouded out (Los Angeles and Las Vegas included, oddly enough) it was a clear night here in Rhode Island and I took the opportunity to capture some photos of the eclipse from the State House lawn, where I could include the iconic statue of the “Independent Man” atop the capitol’s neoclassical dome. I hope you had some nice views of the eclipse as well! And if not, it’s OK – there will be more total eclipses in upcoming years, the next one being Jan. 31, 2018. 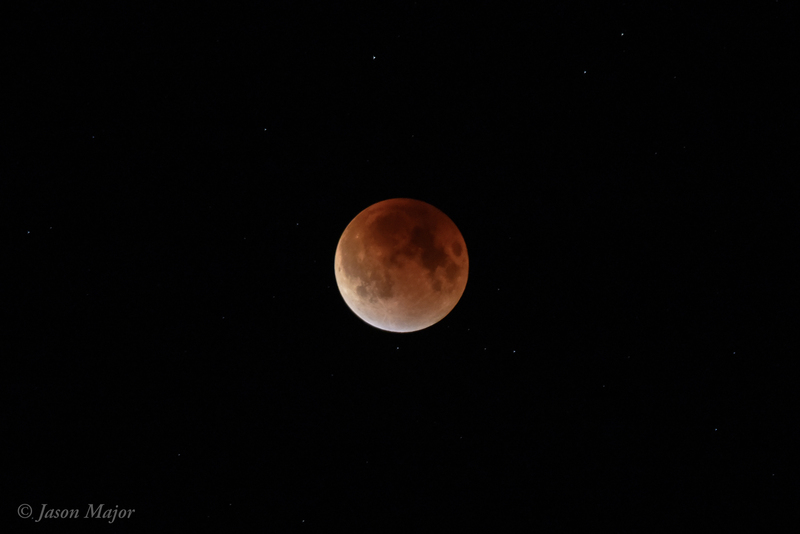 See a list of upcoming lunar eclipses here.